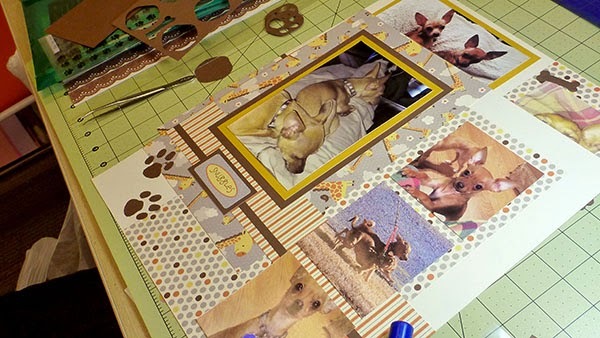 Shih Tzu Mom recently had the opportunity to help some fur babies while doing her favorite hobby: scrapbooking! I myself am a rescue and was excited for the opportunity to help her give others like me a chance at a better life. Back when I was looking for a home, many potential forever families were weary of me because I had been involved in an accident. They were afraid I would have too many medical problems down the line and wouldn't be able to handle it. But not Shih Tzu Mom! The minute she saw me and found out I was looking for a home, she scooped me right up, potential problems and all. I am happy to report that I have been a very healthy pup and couldn't have found a better forever home! So when we heard about this event, there was no question whether we would participate. It benefited the Georgia SPCA (Society for the Prevention of Cruelty to Animals), which rescues pups and kitties who are in places that do not have good conditions or room for them. Lots of fur baby parents came to join the cause, and 100% of their events cost was donated to the organization. 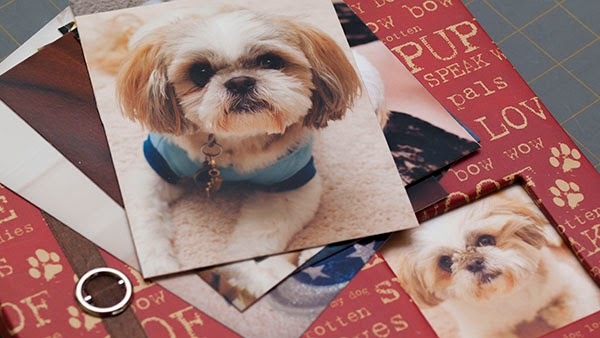 Shih Tzu Mom printed out lots of pictures of me to scrapbook, like the ones shown above. Don't I take a great headshot? 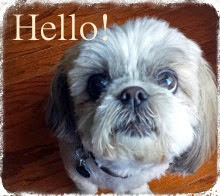 Shh…don't the them, but Shih Tzu Mom still thinks I'm cuter! 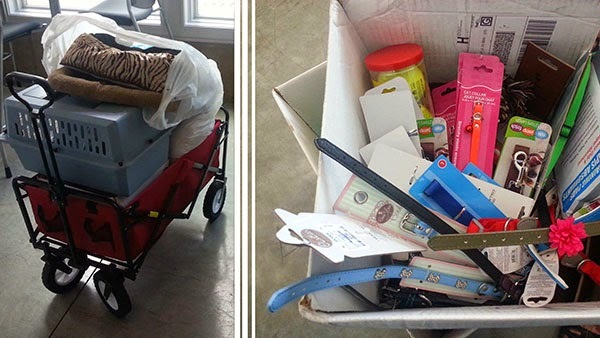 In addition to the money that was raised, a lot of the fur moms and dads brought donations. We gave them some of my old stuff and I helped Shih Tzu Mom pick out some new things like collars and toys to donate, too. It was quite a collection at the end of the day! The tennis balls were my idea. The event was a great way to spend a Saturday and we were happy to have been able to help out my fellow rescues. 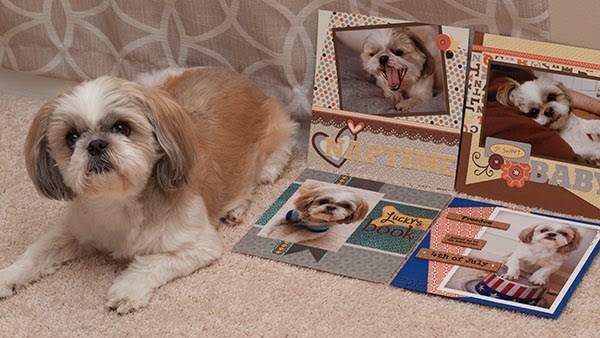 Plus, Shih Tzu Mom was excited to have made some pages she could add to my scrapbook. Here are a couple of her favorites. I think they turned out well, how about you?